Work in the cloud … wherever you are, whenever you want. With version 11.20 of the TSplus program, Windows applications are available in real time, simply by means of Wi-Fi or internet connections. The keyboard has been redesigned to automatically pop-up when the focus is over an entry field. If the keyboard is hiding such entry field, the application is moved up and the user is still able to see what he is typing. The mouse pointer has been redesigned to facilitate the selection of buttons and fields. The administrator can choose a small, medium or large mouse pointer size. Intuitively facilitates navigation inside the application. The Zoom-in and Zoom-out new feature is great too. On the small screen of a Smartphone, it can be difficult to read or to select a commercial application form. With just one click, the user is now able to zoom the display, to work and to use a Windows application. The AdminTool client in HTML5 has been improved to show the most useful display settings. All known issues with TSplus 11.10 have been fixed. 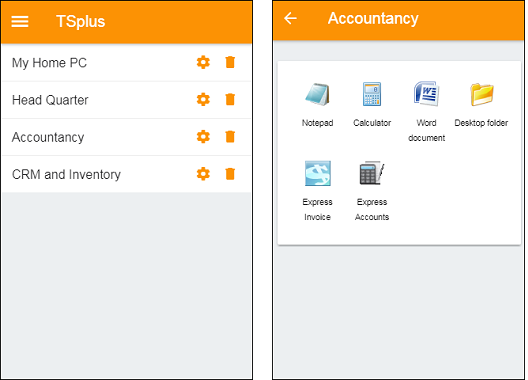 In the TSplus 11.20 release, we provide a new, mobile client application, TSplus. Download the TSplus app from the Google Store (Android) or the Apple App Store (IOS). The TSplus application is free for all TSplus clients. Try it now and you will easily understand why all users will use it every day. 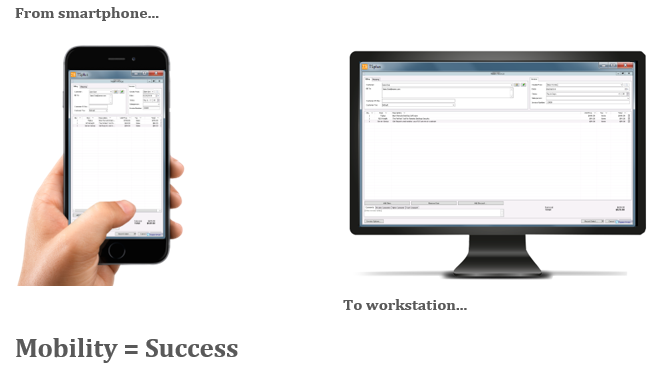 The TSplus application is simple, intelligent and efficient for running remote applications from any type of mobile devices (smartphones, tablets, and even computers). If you like the TSplus application, please take some time to add reviews about our application in the stores. – TSplus must be purchased in the Web & Mobile or Enterprise version.